The Department of Environmental Affairs (DEA) has applauded a group of Environmental Monitors (EM), also known as Maeba (Doves), for their impeccable work geared towards fighting the scourge of rhino poaching in the Hoedspruit area. With at least 1 659 young South Africans participating in the Environmental Monitors Programme, the initiative aims to increase conservation capacity within the South African National Parks (SANParks), provincial and private nature reserves through patrols, biodiversity monitoring, environmental education and awareness within different communities. They operate throughout South Africa on 8 public entities and 25 private nature reserves, with SANParks’ Biodiversity Social Projects (BSP) as the implementing agent. 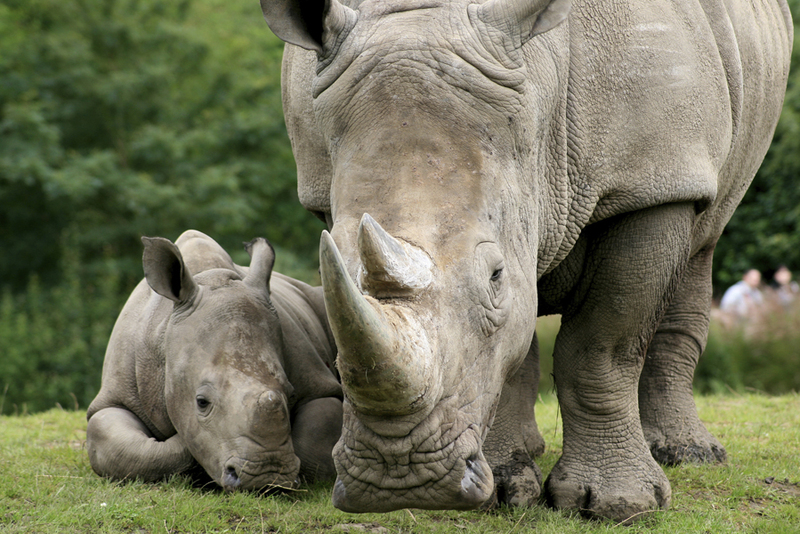 The Minister of Environmental Affairs, Dr Edna Molewa has commended the efforts of the Environmental Monitors saying the initiative has significantly contributed to the fight against the scourge of rhino poaching. “Last year alone, at least 1 659 Environmental Monitors were deployed in rhino poaching hotspots to assist with environmental protection. These Environmental Monitors will be further empowered to become Rhino Ambassadors in these rhino poaching hotspots,” said Minister Molewa. The EMs programme has not only been instrumental in assisting with successful arrest, investigation and sentencing of poachers, but has also assisted in the reduction of wildlife poaching by 50% and a 76% reduction in snaring of animals in public and private reserves. The Environmental Monitors Programme forms part of the government’s concerted efforts to address the challenge of wildlife crime, particularly rhino poaching. It is currently funded to the tune of more than R235 million by the DEA’s Environmental Monitors are funded by the DEA’s Environmental Protection and Infrastructure Programme (EPIP). Minister Molewa added that the programme is part of the Expanded Public Works Programme (EPWP) which does not only assist with ensuring biodiversity conservation for the benefit of the current and future generations, but also creates opportunities for much needed jobs and skills development. “Since its inception in 2012, the EMs Programme has employed and trained more than 1 659 beneficiaries, with at least 138 of them having exited the programme into greener jobs,” she said. In the Limpopo and Mpumalanga provinces, the EMs operate between Kruger National Park on the eastern side and the Blyde Canyon in the western side, an area referred to as the K2C Biosphere Region, which is a United Nations Educational, Scientific and Cultural Organization (UNESCO) ratified site. EMs are deployed in groupings to assist with environmental education, environmental monitoring, research support and security operations. Some of the host institutions where the EMs assisting with research, awareness and training within local communities include the University of Pretoria’s Veterinary School; the Southern African Wildlife College; the Wits Rural Facility and the South African Environmental Observation Network (SAEON).